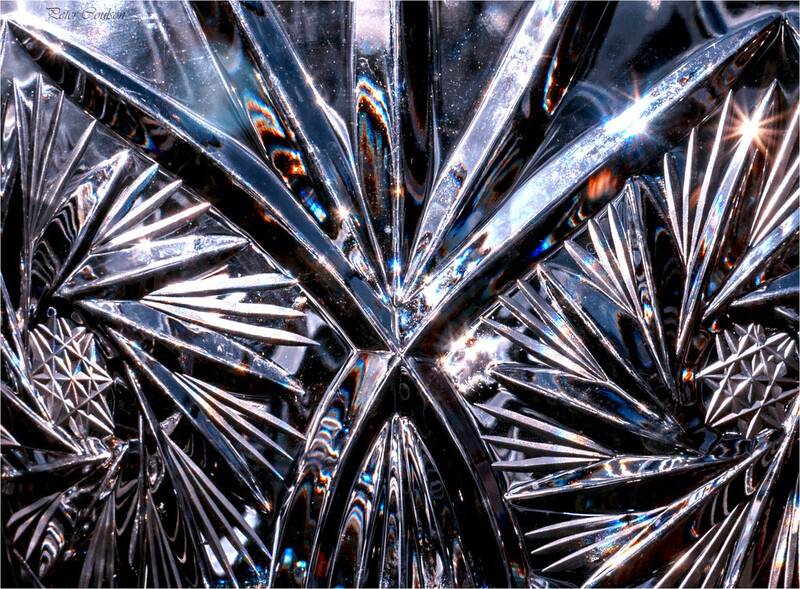 Another entry in the current macro challenge "Glass" part of the pattern on one of my wife's cut glass flower vases with natural light shinning through it. Very fine detail in this macro Peter. Wonderful macro, I love the symmetry. It looks very sparkly on black. Great entry for the macro challenge Peter. Love the subtle colours and reflections you caught there.